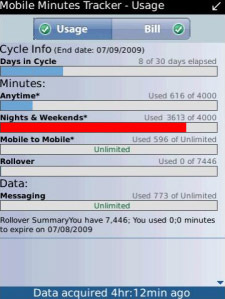 Welcome to part 2 (finally) of the CrackBerry Guide to wireless bill cutting apps; or “How to afford to keep your BlackBerry and your high usage habits”. I’m glad to see you still have your BlackBerry. For some, you have made some sacrifices in order to keep feeding the addiction. Now that I think about it, I guess the same can be said for most addictions –harmful or not. This is the one addiction I have and am most proud of it; and I have the wireless bill to prove it. If you recall part 1 – we had a look at applications which offer discounted rates on international calls and even cheap (or free) long distance. You can always go further, like we do in part 2. Some carriers give you access to your current usage, so you know where you stand. There are also some decent apps that offer a different twist on this type of control. In this case, they do most of the monitoring for you; so you can focus on other ways to save money. So while you’re clipping coupons, have a read. In part 2 we will focus on a some of the applications out there that help you monitor how much time you are putting into your wireless addiction. This article will be updated with additional entries as time goes on. This application combines some of the features found in carrier apps with reliable alert capabilities. By allowing Mobile Minutes Tracker to email alerts, you can be notified of both bill due dates and when you have exceeded your usage limits. The app can track multiple lines on an account, making the task of monitoring the habits of your family plan members that much easier (works for SMBs as well). As I mentioned before, the application acts like an app from a carrier as it gives you a detailed look at your plan and current usage of it. Usage is displayed as a progress bar, with the colour switching from blue to red as you near your limit. A bill summary lets you know what you have paid and what you may owe. Mobile Minutes Tracker supports a variety of North American carriers. They also offer a free version – good for individual users who don’t need email alerts. We all know BlackBerry usage can be habit forming. This app can analyze and display your usage habits when it comes to phone calls...hmm, I guess the name Phonalyzr says what it does anyway. By accessing your native phone call log, Phonalyzr will take the available information and present it to you in a variety of graphs. 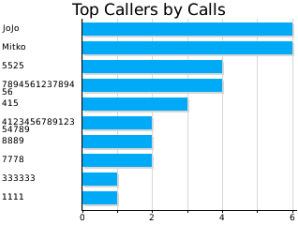 The information you can see will include; top callers by minutes or calls, outbound vs inbound, number of minutes or calls per time/hour/day, call length distribution and usage summary. You’ve probably heard of the phrase “every second counts” or even “every minute counts”. The latter definitely is true when it comes to your voice plan. We complain about data overage charges and such, but some tend to forget the overage rates by going over your monthly minutes or even calling while roaming. In this case, you can reflect on another phrase; “time is money”. With an app like CallTick, your BlackBerry can remind you of every minute you spend on the phone, helping you keep track of time as you carry on a conversation. These reminders come in the form of a quick beep or vibration on both incoming and outgoing calls. 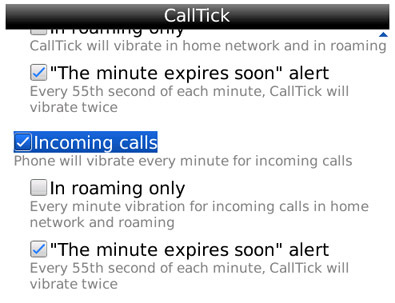 To further its functionality, CallTick has another reminder that can be set up 5 seconds before each minute expires. This is especially handy with those who are billed at a per minute rate. Putting a twist on the solution that the above application provided, Telicost Lite helps you stay within the limits set by your wireless plan – this includes voice, SMS and data. The developer says that, unlike carriers, this service is in real-time). The app can be set up to warn you when you have used 50, 90 or 100% of your plan. As you cross those thresholds, the application will use a pop up and vibration to keep you in the know. It will also tell you how long you have left in your billing cycle. You will initially have to enter in the details of your plan before the application can monitor. This version works on an individual user basis. If you are looking to manage multiple phones, including the ability to see the location of a particular device, there is an option to upgrade to the full version of Telicost. 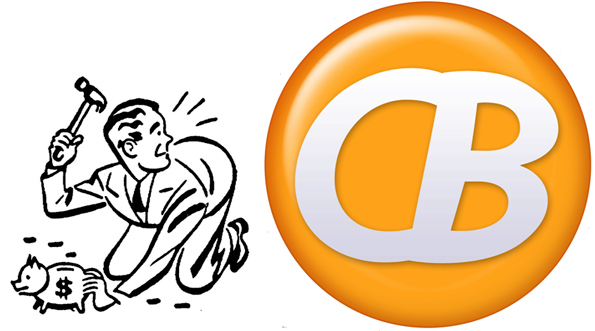 In a similar fashion to Telicost, Data Monitor helps keep your data usage in check. It too provides alerts when crossing a threshold- in this case at 50, 80 and 100%. Again, notifications are in the form of pop ups. The application offers in depth analysis of your usage habits. You can see the data you have used in an hour, day, week, month or even a year. I don’t even want to know how much I go through at that point. You can also set up your own data limits and ration out allotments as you see fit. 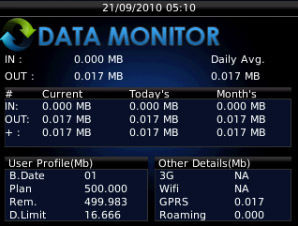 A usage screen will display consumption averages (both incoming and outgoing), plan details and which types of connection are being used (3G, GPRS, roaming, etc). 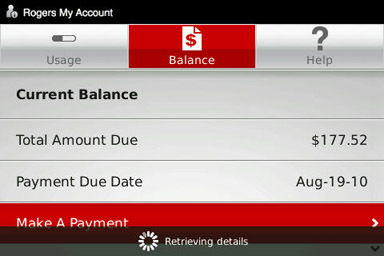 This application was a 2010 BlackBerry Partners fund super apps developer challenge regional selection winner. 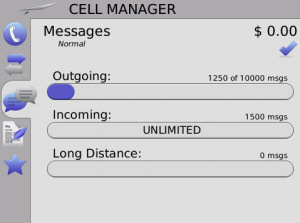 Besides tracking many types of usage you may generate, Cell Manager can also be used to create reports detailing billable time. 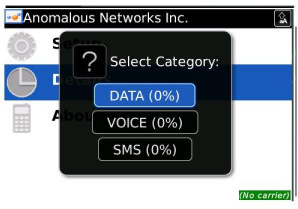 This application easily displays your voice, data and sms usage against your current wireless plan. You can even be aware of overage charges. All of your usage can be used in a variety of ways – spread sheets, graphs, pie charts (mmm, pie) to email off or even view via web pages. It keeps track of your history so you can see what you have used month to month to see if your plan is working for you. Depending on your line of work, this app can help you take control of your billable hours; why should you be the only one who has to pay for your cell bill!? Beyond this, Cell Manager enables users to manage a blocked contact list, ensuring that you don’t waste precious minutes on unwanted callers. So hopefully these applications will add a few extra dollars back into your wallet. You’re going to need it; there are always new BlackBerry devices just around the corner. Above all else, you can always try to use WiFi as much as humanly possible. What do you use to help keep your costs under control? Let us know in the comments. Happy penny pinching!